Folded size: 31.5cm x 30.5cm x 7cm/12.4" x 12" x 2.8"
Unfolded size: 31.5cm x 30.5cm x 20cm/12.4" x 12" x 7.9"
â-? The pop up sink is ultra easy to use. Simply pop it open when using and collapse for a flat convenient storage. each location for a versatile storage solution for all your organization needs! â-? Easily move around your household goods with these pop up baskets. â-? 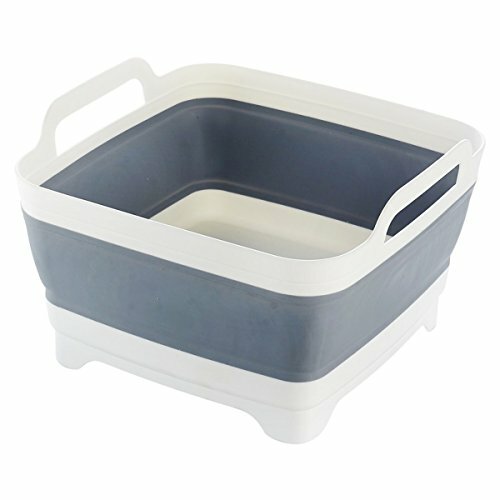 Solid construction and lightweight plastic improves carrying stability around the house and portability for on the go. â-? Ideal for small kitchens.